When Survivorman Les Stroud says it’s hot — it’s hot! 118°F to be exact. HighGround Images had the immense pleasure of working with the creative team from Canada’s Cream Productions for their Lexus of Canada project. Two full 12 hour days, temps up to 118°, a few gallons of water later and we got some incredible drone images. Yes, our iPads overheated, and our batteries needed to be iced down, but it was worth it! Now we know what can be done in the Arizona heat. HighGround flew the camera while the ridiculously talented international photographer Benedict Campbell took the photos. Huge crew and an amazing project! The amazing creative team from Mullen & Lowe booked HighGround to shoot some drone shots for the fun tongue-in-cheek Century 21 Give Dad Nothing for Father’s Day commercial. 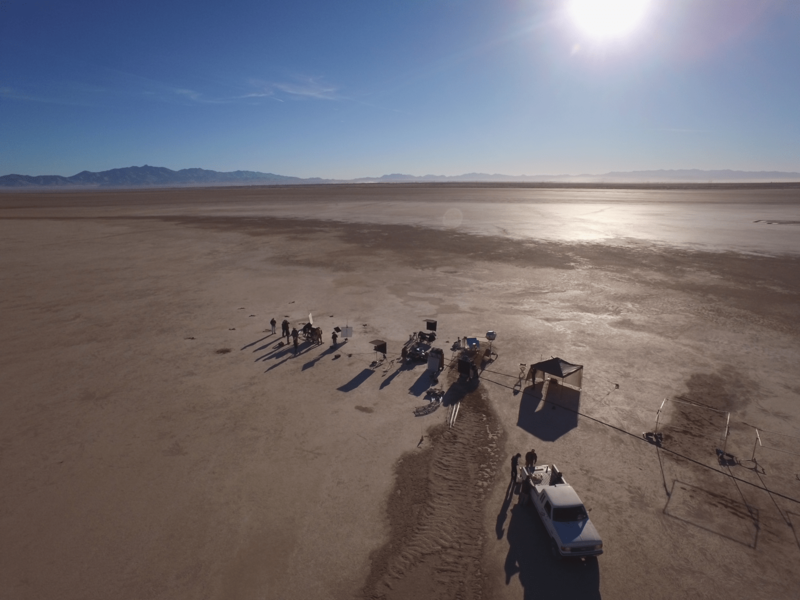 HighGround did a drone shoot in the Wilcox AZ Playa dry lake last week. A beautifully barren landscape. We want to thank King Hollis of Media 13 Studios in Dallas, TX for making us part of the team and helping tell their client’s story. Some clips from that shoot are in our reel on the home page.